Yan Gomes‘ three-run double in the third snapped a 1-all tie. Tyler Naquin had an RBI single in the second. Cody Allen, the Indians’ third reliever, pitched the ninth for his 14th save in 15 opportunities. 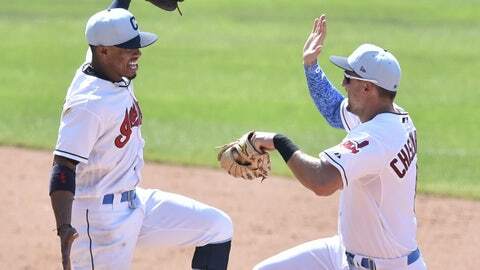 Bieber was scheduled to start for Triple-A Columbus on Sunday, but that plan changed when Carrasco was hit on the elbow by a line drive in the second inning of Saturday’s 9-3 loss. Carrasco’s early exit forced the Indians to use seven pitchers, including Adam Plutko, who was scheduled to start for Cleveland on Sunday. Bieber, instead of preparing to face Indianapolis in the International League, made the 2 1/2 drive from Columbus on Saturday evening.